Last weekend we took our kids to an Easter Egg hunt at a friend’s place, and then bought them their annual treat of bunny shaped chocolates on Sunday and went out for breakfast. 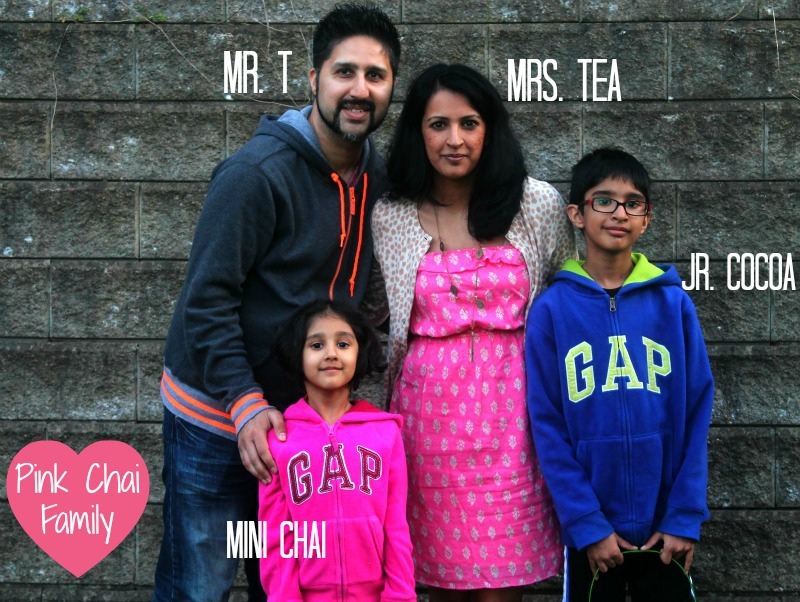 Even though my husband and I are both Sikh, we recognize a lot of other cultural and religious holidays too; Easter, St. Patrick’s Day, Christmas, Thanksgiving, and even Chinese New Year (this one mostly for my daughter who loves Ni-Hao Kai Lan). This weekend it occurred to me though that we aren’t doing a very good job of passing our culture and religious beliefs down to our children. I don’t want to pressure my kids into following a particular religion, but I also think it would be nice for them to know what our beliefs (as in me and my husband’s) actually are. Then there is a whole other cultural competent that is a struggle for those of us that were born in Canada (or the US or UK), but raised by immigrant parents. How do we preserve the culture that our parents and grandparents passed on to us, but introduce our children to many of the very “western” parts of life that we’ve come to love. This is a struggle I deal with daily. I hate that I haven’t taught my kids to speak Punjabi, or introduced them to the folklore of Punjab, and the history of India – so many things I intended to do but never got around to. With all of this on my mind, I’ve decided to devote the next 13 days to teaching my kids a little about Vaisakhi, which is a religious holiday for Sikh’s (the birthday of our religion), but also a time of festivals in India to celebrate the new harvest. Sadly, when I went online there wasn’t a lot of options for Vaisakhi activities for kids. I’ve taken a little inspiration from the advent calendar and come up with the following ideas, and included links and resources wherever I could, just in case some of you might want to try a few of these with your little ones. Talk about Vaisakhi – What is it, why do we celebrate it? (This one I’m sort of nervous about, how am I going to hold their attention!) I suggest visiting Wikipedia, or maybe taking the kids for a visit to the Grandparents for their history lesson. Plant something – Since we already covered the religious aspect of the holiday yesterday, let’s talk about the harvest, farmers, and crops today. Learn a Bhangra dance – Dance is a huge part of festivals in India, and in Punjab (where Vaisakhi is primarily celebrated) Bhangra is definitely the most popular. Make Happy Vaisakhi cards – Why not, we do it for all the other holidays? Do a Vaisakhi Crossword or Word Search – I downloaded one from The Holiday Spot, as long as I cover those points in my little lesson on day 1 my kids should remember the answers. You’ll have to check if it’s age appropriate for your kids. Learn the Mool Mantar – This is short but very important scripture in the Sikh holy book the, the Guru Granth Sahib. My mom taught to us as kids so we could recite it if we were scared, nervous, or needed some divine intervention. Practice embroidery – Embroidery, in particular Phulkari is very popular in northern India, and used to be considered a life skill for girls. I’m planning to pick up some embroidery hoops and a couple of white pillow cases so I can give my kids a lesson in the good old fashioned cross stitch. This can also double as a lesson in Indo-fusion, since I have know idea how to do Phulkari embroidery. Dress up in Indian clothes – I’m going to consider this day as a practice run for a future event where we are going to need to dress traditional. If the dressing up idea doesn’t pan out, we might just look up traditional clothes on the internet. Check out books on Vaisakhi or Punjab at the library – We are a library loving family so it makes sense for us to hit up this resource. Make Pakhis (Indian hand fans) – Many traditional images and art from Punjab picture women holding these hand fans which were often embroidered, so I figured we could turn it into a craft. Visit the Gurudwara – What better way to finish off our 13 day adventure than a visit to the Gurudwara (Sikh temple) on the day of Vaisakhi itself – April 13. In an effort to keep myself accountable, I’ll be sharing pictures of our 13 days of activities on Instagram and tagging them #vaisakhiforkids, feel free to follow along or join in! My Instagram user name is pinkchai. Biz Mama: Can You Cry at Work? 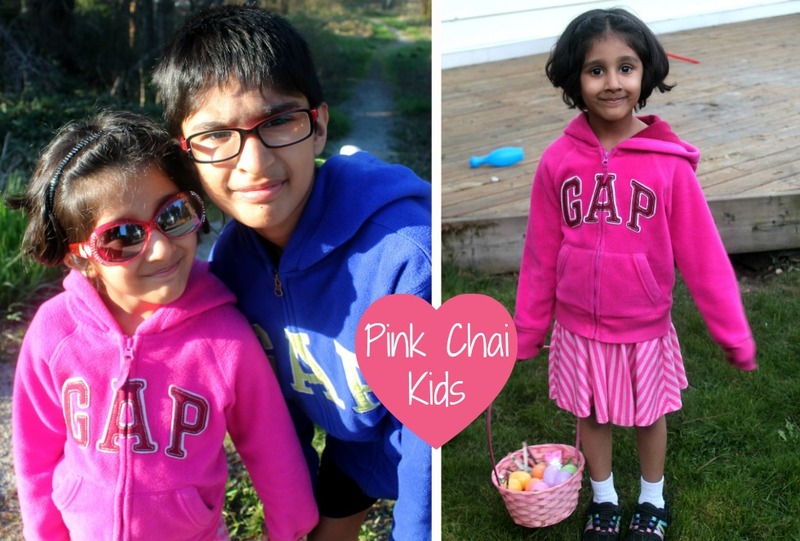 Happy 2nd Birthday Pink Chai Style! You’ve shared some great suggestions here, Raj! If interested, please check out my Countdown to Vaisakhi resources which include lots of kid and teacher-friendly activities. Thank you!